Bing Ads Editor for Mac has long been the most highly requested feature on the Bing Ads user forum. Mac users got word in November that Bing Ads had started work on the Mac version — for release early summer 2016, and here we are. The team announced the beta version is available in the U.S. at SMX Advanced in Seattle on Wednesday. 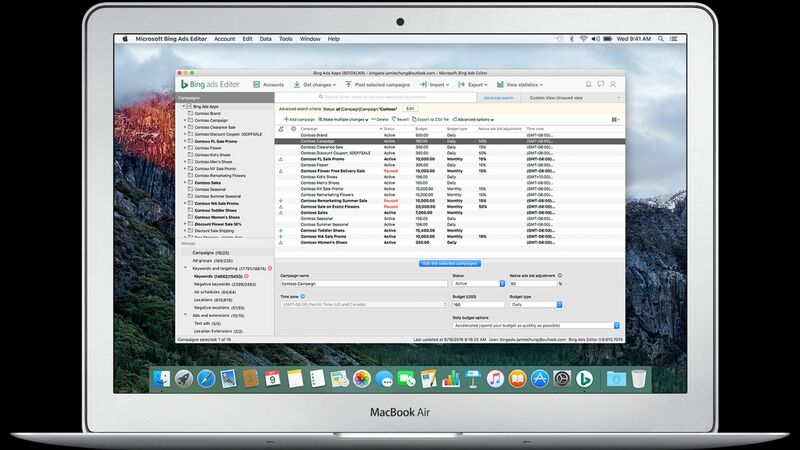 The Mac version has parity with the PC version of Bing Ads Editor, which underwent a redesign in May, gaining processing speed, multiple-account sign-in, and cross-account cut-and-paste among other features. The high speed was one thing I noticed immediately while testing BAE for Mac this week. Here’s a look at the main campaign editing interface. You’ll notice the layout is similar to AdWords Editor 11, with vertical navigation in the lower left column. A couple of noteworthy features of BAE is advanced search and Advanced options capabilities. You can easily build and save multi-dimensional queries with advanced search. 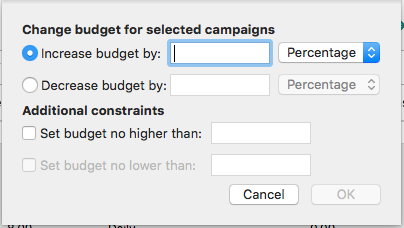 From the Advanced Options dropdown you can do things like adjust multiple campaign budgets by a percentage or fixed amount with minimum and maximum thresholds in BAE. 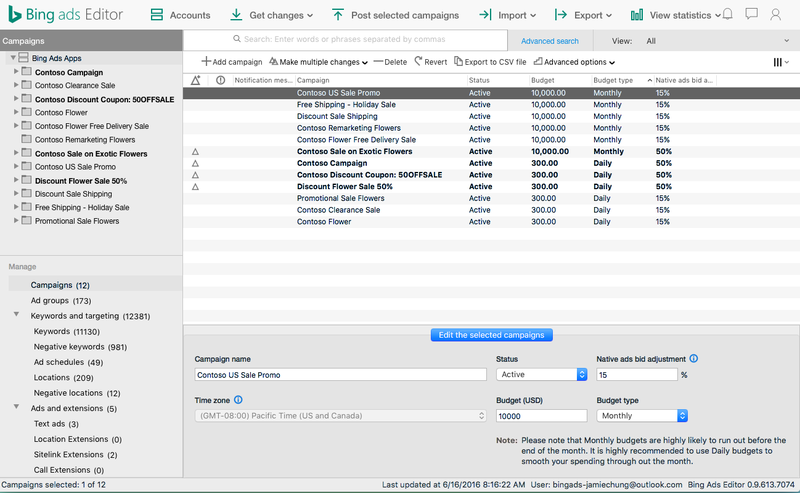 Users can also import campaigns from AdWords into BAE. The release of a Mac version marks a significant milestone and underscores a shift in engineering priorities that has been apparent over the past year, with a number of top–requested features getting checked off the list. After paying lip service to Mac users — and surely missing out on new business — for years, Bing Ads listened and has delivered a solid beta when it said it would. All users can sign up for the beta today. Bing Ads will begin accepting beta testers from the U.S. first, English speaking users in other countries by the end of summer, and later for other supported languages and markets. Tags:BingBing AdsChannel: SEMSEM Tools: PPCSEO & SEM Tools.